Can't even retain your dank for an app, welcome aboard! Hi Daniel, welcome to our site. Your application is a tad short though. Is there more you can tell us about yourself? You're applying to join a community of likeminded people after all, so it would be good to have more to go on. What can I say, I'm a short guy! Actually no, no I'm not. Aside from kicking the snot out of people in game, I also do a bit of it out of game too as part of UKs #1 full contact medieval combat team. So yeah, that's a thing. Here's a short clip of me beating said snot out of a Kiwi. Wales debut fight, proud moment! Games I'm anticipating the most this year? Definitely No Man's Sky, also Kingdom Come: Deliverence... whenever the heck that's being released. So... as you are like a medieval warrior how would you take on a Samurai, a Viking and a Maori warrior each in turn -> which would be the toughest to face off against? Samurai? Very carefully. Their armour is crazy mobile, it would be light fighting a mongoose. Viking. Get up close, punch him straight in the face. Their helmets are crap. As for the Maori, I'd probably try and use my high defense as an advantage. That's of course, assuming I'm wearing my current full contact setup which is based on a well off mid 14th Century European man at arms. Toughest would definitely be the samurai. As fearsome as the others are, they're better trained and have much better equipment. Also, pic related. 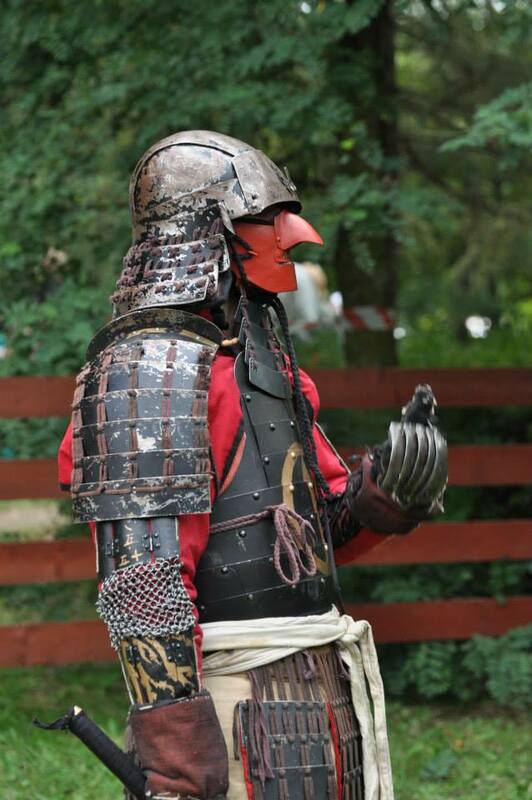 One of my friends fights in Samurai armour. Functional steel, suitable for full contact sport. He's Polish, so he's also completely crazy. Funny enough, his armour is of better quality than any of the guys from the Japanese team, and he's a significantly better fighter!